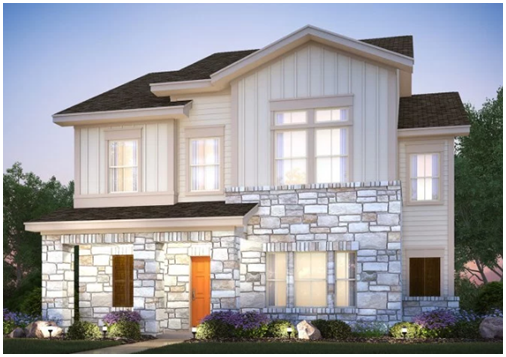 Say 'good morning' to Austin’s new Goodnight development Say 'good morning' to Austin’s new Goodnight development https://www.recenter.tamu.edu/news/newstalk-texas/?Item=14479 2016-09-13T05:00:00Z 2016-09-13T22:15:00Z AUSTIN - Construction of the first phase of residential units in the 700-acre Goodnight mixed-use subdivision began Aug. 30. Move-in for the first residents could occur by the end of 2016. For the first phase, home builders plan to construct 104 single-family homes, nine duplexes, and 90 townhouses. The first phase also calls for 35 acres of trails and green space designed and developed by TBG Partners. Goodnight, located in Southeast Austin off East Slaughter Lane, borders the Onion Creek Metropolitan Park. It is planned to include pedestrian- and bicycle-friendly features, 225,600 sf of retail, business space, and land for a future Austin ISD school. ​See Austin Housing Market Research.